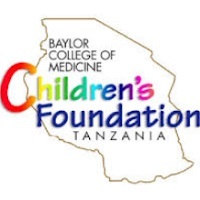 Baylor College of Medicine Children’s Foundation-Tanzania (Baylor-Tanzania) is a non-government organization (NGO) dedicated to supporting the provision of high- quality, comprehensive HIV/AIDS care and treatment to HIV- exposed and -infected children and adolescents in the Lake and Southern Highlands Zones of Tanzania through service delivery, training and research. Baylor-Tanzania is affiliated with Baylor College of Medicine International Pediatric AIDS Initiative (BIPAI) Clinical Centres of Excellence Network, which is headquartered at Texas Children’s Hospital, Houston, Texas, USA. Baylor-Tanzania is funded by United States Agency for International Development (USAID),and works to support the Ministry of Health, Community Development, Gender, Elderly and Children in improving provision of services for children, adolescents infected with HIV and their families. The Technical Director will work in close collaboration with the Executive Director/Chief of Party and technical staff of the programme to provide strategic input to the programme. In collaboration with the Monitoring, Evaluation and Learning (MEL) Director, s/he will monitor programme results and be responsible for the quality and accuracy of technical interventions and results. Provides technical guidance for Comprehensive Pediatric Testing, Care and Treatment programs by updating implementing partners on technical advances and lessons learned around the world. Collaborates with other team ' members to ensure national and international standards, guidelines and protocols are adhered to. Organize regular technical updates/review meetings for Comprehensive Pediatric Testing, Care and Treatment to program staff. Provides continuous guidance and improvement of the quality of the care and treatment by regular application of quality improvement and Site improvement and Monitoring Systems approaches. Develop and scale up change packages that address the gaps and challenges to ensure continuum of care and response in attaining the 90-90-90 targets in scale up districts. Provides technical guidance during the development of program annual work plan and participates in the planning and budgeting activities. 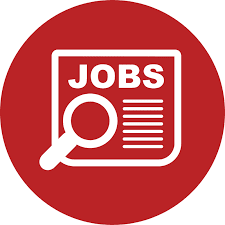 Ability to work flexible schedules, including occasional evenings, and weekends, as needed. Ability to lead by example utilizing the highest ethical, moral, objective and professional standards of Baylor College of Medicine Children’s-Tanzania.